A nautical decor scheme brings the beauty, thrill and romance of the open waters into your home. Grounded by broad stripes and bold blues, it's a theme that's classic and contemporary all at once. 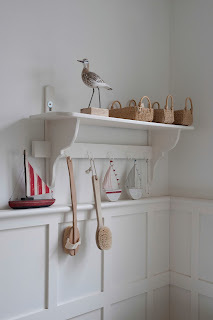 Nautical decor goes well in practically any home, and the look is easy to pull off. 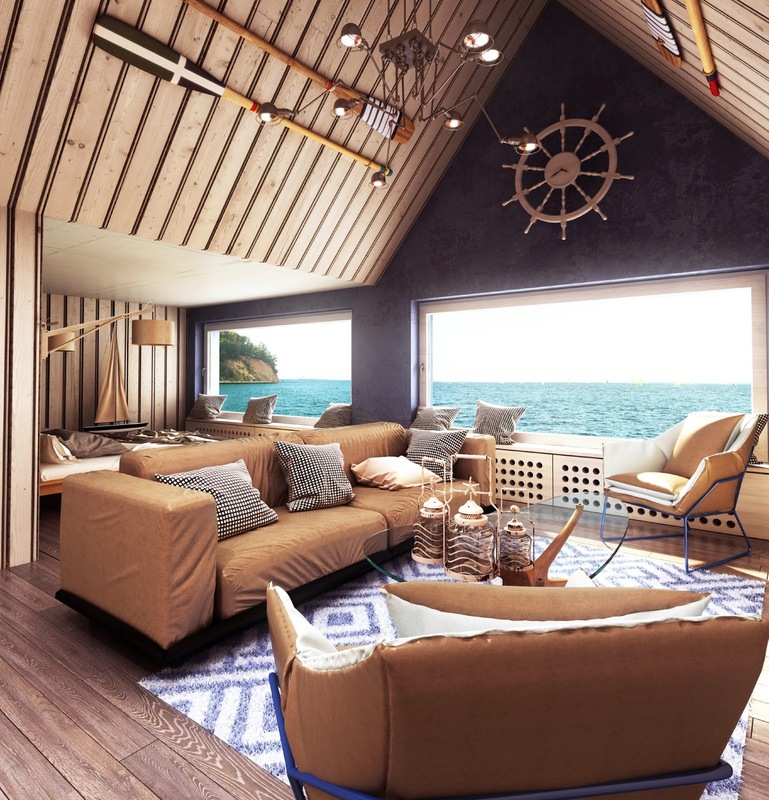 Here are some pointers to help you transform your space into a nautical paradise. Crisp white walls form the backdrop for many nautical decor schemes. If you're painting your walls to match the theme, opt for a crisp white instead of a warmer beige. If your walls are already beige, avoid hanging bright white wall art or nautical accessories, as these can make your walls and decor appear mismatched. Of course, wood paneling can also work well to communicate a nautical theme. Accentuate darker wood paneling with white life preservers and ship accessories. Draperies in crisp, gauzy whites and blues look great in airy rooms. If you're going for more of a captain's cabin look, thicker drapes in navy blue or blue-and-white stripes add a touch of class and elegance. If you'd prefer to skip draperies, opt for wood or bamboo blinds. For furnishings, choose upholstery in navy-and-white stripes or solid blues and whites. In terms of nautical wall decor, nothing looks better than real ship components and accessories such as life preservers, ship hardware and mock porthole windows. Fishing nets and big glass floats are ideal for outdoor spaces or sunrooms. Photographs of ships, famous sailors and even pirates can also add visual interest to your room. Any frame that matches your decor will work, but brass frames are particularly striking and very nautical. No room is complete without tabletop decor and other small mementos. For a nautical theme, consider choosing model ships and small trinkets you've collected while aboard boats. They look great atop tables and give your guests something to talk about. If you're concerned that model ships will get too dusty, put them in glass cases. Charts and maps make an elegant addition to any nautically themed room as well. Consider our 3D wood charts to add the perfect finishing touch to any nautically styled room. The same love of open waters that inspired your decor can be proudly displayed on your walls too. These are amazing nautical party decoration ideas. I am arranging a garden party with my family and booked an exotic venue New York. Planning to decorate venue and seeking ideas for the same. Hope to find amazing ideas in time.